Miami Beach’s ambitious efforts to combat sea level rise have been met with concerns from the community and City Commissioners who worry about the impact of overlapping road elevation and stormwater construction projects on already bad traffic conditions. As a result, City Staff has prepared a modified construction schedule that extends the timeline for completion of the stormwater program from seven to “ten-plus” years. That proposal will be presented and discussed next week at a joint meeting of the Commission’s Neighborhood and Community Affairs Committee and the Mayor’s Blue Ribbon Panel on Sea Level Rise. As the City moves into the less vulnerable areas, many local residents have asked for delays in road elevation projects planned for their neighborhoods saying they are not experiencing flooding now. The City says it wants to combine road elevation with replacement of the aging stormwater system to avoid a second disruption of elevating roads later and to take advantage of the cost savings of doing the projects at the same time. Acknowledging the concerns of traffic congestion, Morales indicated that steps have been taken to help reduce traffic including “increased fees for blocking travel lanes during rush hours, requiring approval for special events that significantly impact traffic, the timing of the bridge opening on 63rd Street, and expansion of mass transit.” But with memories of the Alton Road reconstruction, the recent rebuilding of the Venetian Causeway bridge, and the current stormwater system installation on Indian Creek, concerns about the projects in the pipeline caused the City to take another look at its plans. Morales summed up the purpose of the workshop: “Our goal today is to balance our different needs and to continue the stormwater, water, wastewater and road infrastructure investments for flood risk reduction, climate adaptation and overall improved services in a manner that ensures residents’ collaboration, mobility, livability, and quality of life today and for our resilient and sustainable future.” He asked for a favorable recommendation to extend the current seven-year program to ten years. Meanwhile, the Commission’s Neighborhoods and Community Affairs Community asked to fold a discussion into the agenda regarding the impact of FDOT’s upcoming Alton Road construction on the tree canopy. 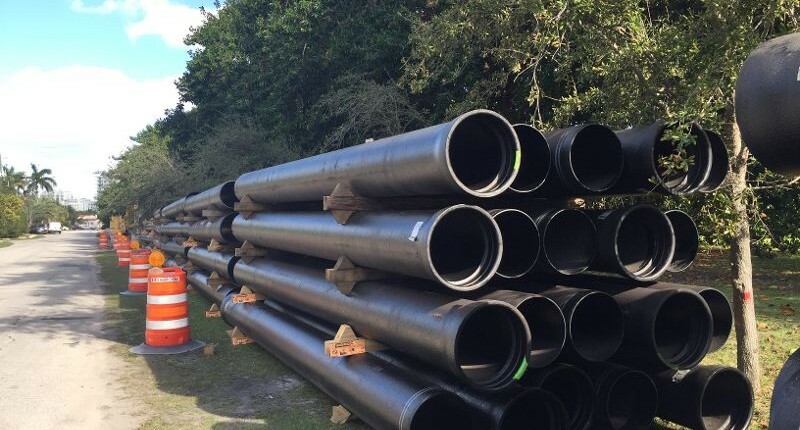 FDOT has told the City it cannot elevate the road from Michigan to 63rd and save the tree canopy and has asked for direction from the City on how to proceed. Public Works Director Eric Carpenter told the Committee that an extensive community outreach effort did not provide any clear consensus. He said letters describing the project were mailed to 352 homes along the route followed by door to door outreach on three days in early May which resulted in direct contact with “between 25 and 30% of the residents that live along that corridor”. Collateral material was left behind for those who weren’t home. In addition, a public meeting was held in late May. But, he said, “[F]ollowing all of that educational information, we sent out a survey to all 352 homes to which we received 32 responses back” adding “I don’t know that we got any very clear consensus on this matter.” Given the timing issues involved with design of the project which is now underway, Carpenter said he was hoping to have this on the agenda for the July 26th Commission meeting. Committee Chair Micky Steinberg said she didn’t think there was enough information for the Commission to discuss it in July and asked Carpenter to try to gather more. The Committee agreed to raise it at the joint meeting next week.